While atrial fibrillation may start out somewhat benign, over time it may progress and become much more serious. During early episodes, atrial fibrillation may go away by itself within a few minutes, though over time, it may require medicine to go away. Some of the afib patients that we have spoken with said that in the early stages their atrial fibrillation symptoms were infrequent and often well-controlled by medication, which usually included rate control drugs or rhythm control drugs in combination with anticoagulants, such as Coumadin® or warfarin. But over time, however, their atrial fibrillation episodes became more frequent, or lasted longer, and medication became less effective or even stopped working altogether. For some patients, the occasional episodes transformed over time and became constant. 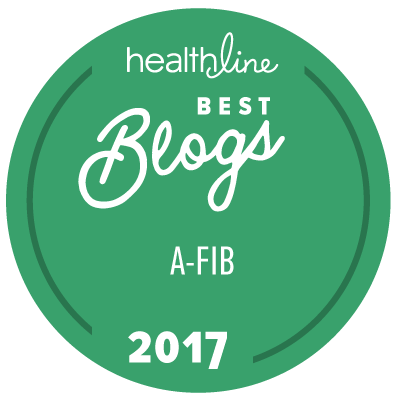 As their afib grew worse, they felt increasingly tired, weak, and lifeless, and were concerned about the potential of even more serious health effects from afib, including congestive heart failure and stroke. Your atrial fibrillation will fall into one of several categories. This classification system is spelled out in the 2014 AHA/ACC/HRS Guidelines for the Management of Patients with Atrial Fibrillation1 and is generally used by cardiologists, electrophysiologists, and surgeons. Afib is progressive. Afib begets afib. You may start out with intermittent or paroxysmal atrial fibrillation and over time migrate to persistent atrial fibrillation. Or you may start out with persistent afib and migrate to longstanding persistent afib, or even permanent afib. For purposes of discussing treatment here, we will discuss only paroxysmal, persistent and longstanding persistent atrial fibrillation. There are so many options now for atrial fibrillation treatment that the decision to not treat, and thus to be in permanent atrial fibrillation, is becoming increasingly rare. Some doctors now consider permanent afib to be an obsolete category. The longer you have afib, or the more persistent it becomes, the harder it is to treat. You will find lots of information here about atrial fibrillation treatment and potential atrial fibrillation cures. First, let's explore Why Afib is a Problem. /2014/04/10/CIR.0000000000000041.full.pdf >, Circulation, 2014; published online before print March 28 2014, doi:10.1161/CIR.0000000000000041.